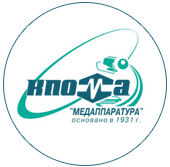 LLC «KPO Medapparatura» is the official representative and the distributor of «Medapparatura» Production Association and DP JSC NIIRI of RADMIR. digital modules (the receiver and automated workplace) for retrofitting of film x-ray devices. Fluorograph with digital image processing is modern and the most effective device for carrying out radiological research of thorax and bone system. Installations of stationary and mobile types are used at mass inspection of the population during medical examination, and also for diagnostics of tuberculosis and identification of new growths in lungs. The digital fluorographs substantially reduces beam load on patients and surpasses film models in efficiency. Unlike installations of the previous generation, the modern fluorograph allows receiving quick and exact images of the scanned body, to simplify working with the received pictures and to lower costs of expendables. X-Ray devices are used as an available informative diagnostic equipment for roentgenoscopic researches in special offices, hospitals and beyond their places for a long period of time. The width of application requires a variety of modifications of X-Ray complexes. Different multipurpose and highly specialized X-Ray devices are presented in our catalog. Any X-ray device is developed for the required characteristics concerning a design, reliability and safety of work. Both film and digital x-ray diagnostic complexes are certified and completely prepared for carrying out researches by modern techniques.